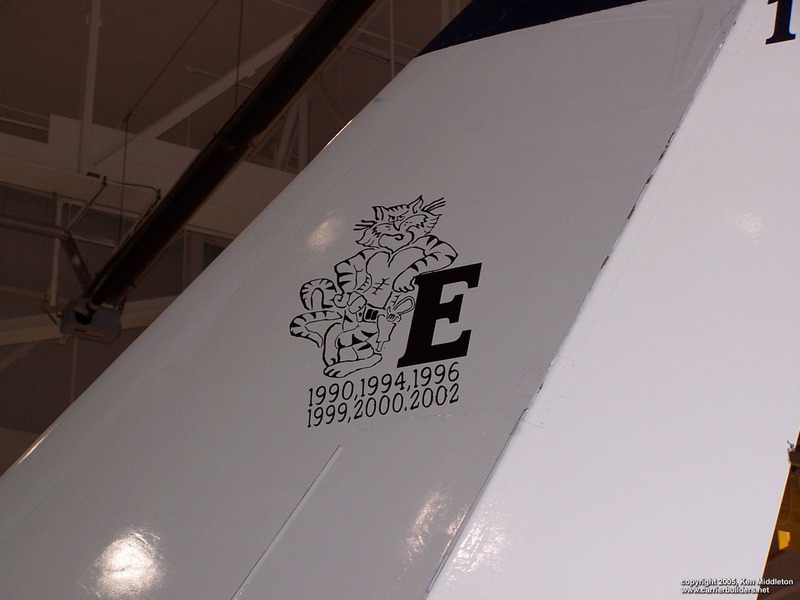 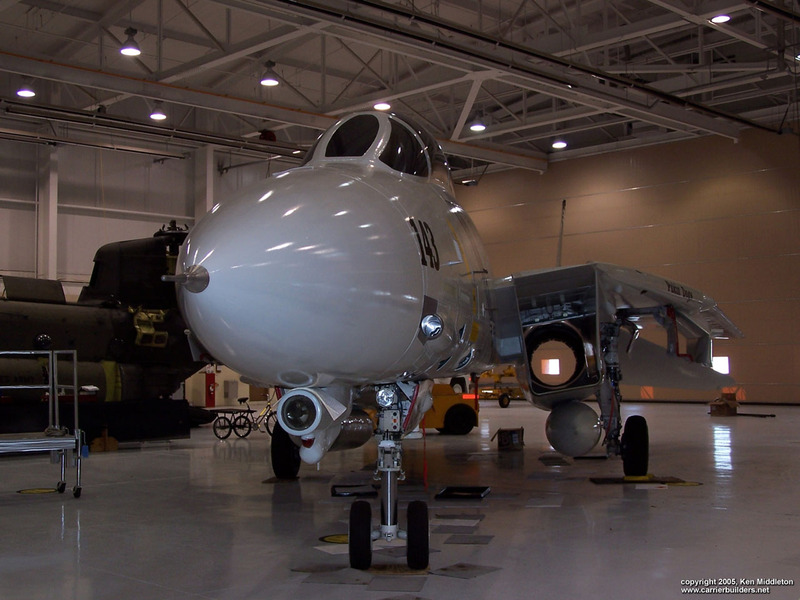 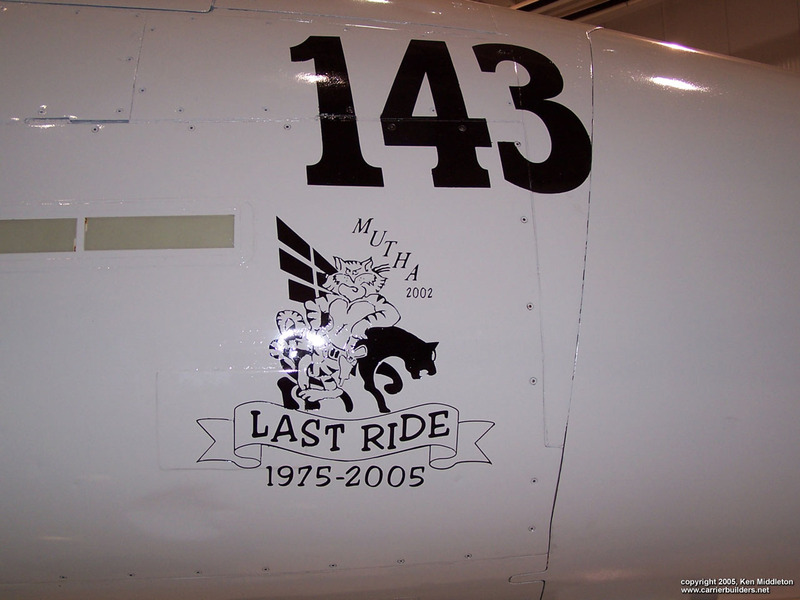 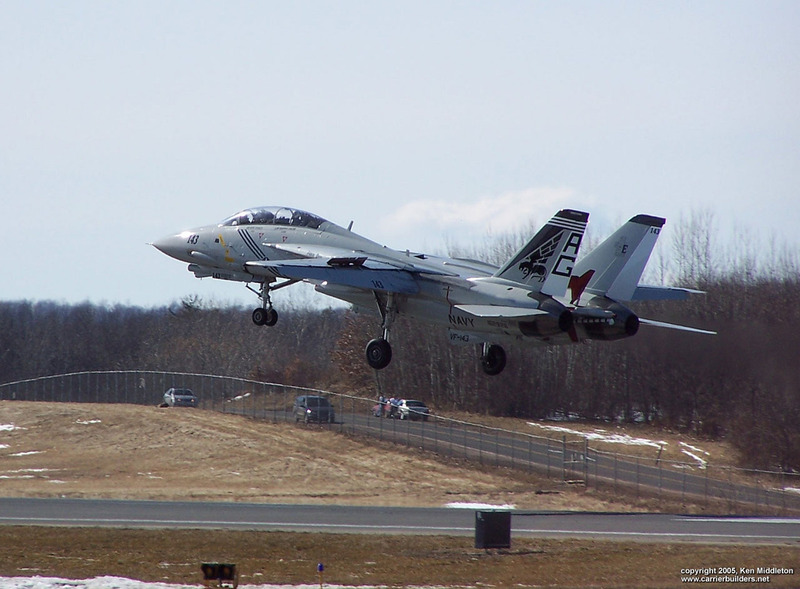 These photos are of F-14B 162926 from VF-143 Pukin' Dogs that is destined for the New England Air Museum. 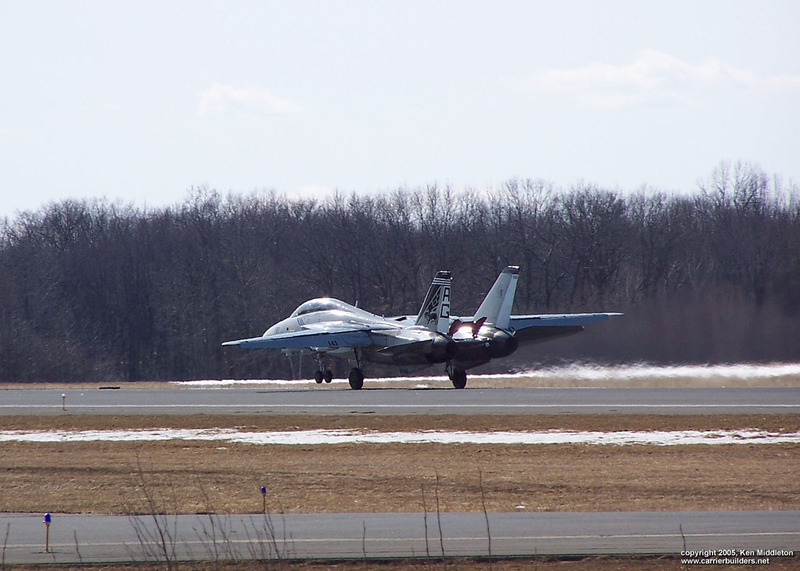 The flying pictures were taken on 16 March 2005 as it did touch and go's at Bradley International Airport in Windsor Locks, Connecticut, USA. 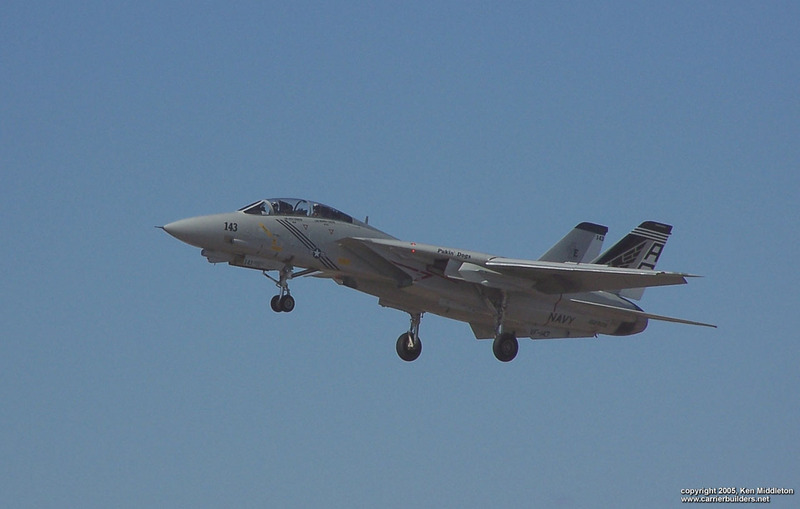 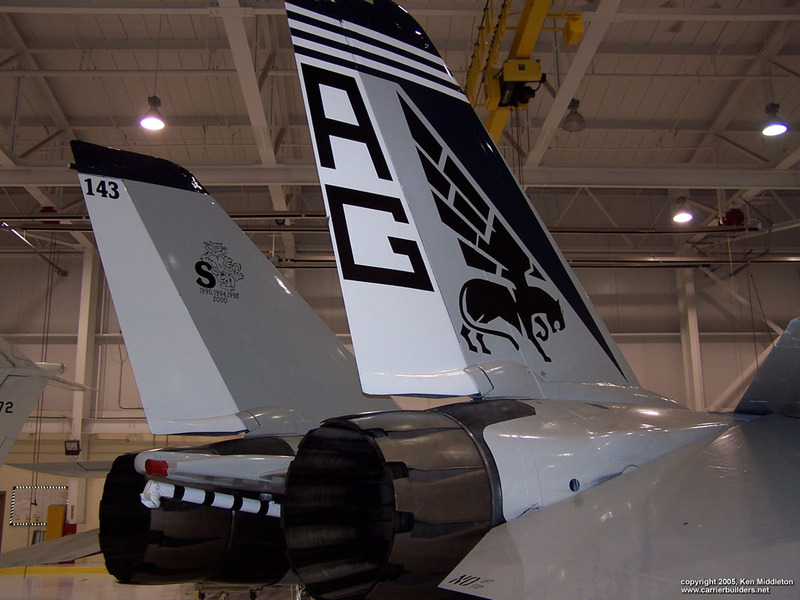 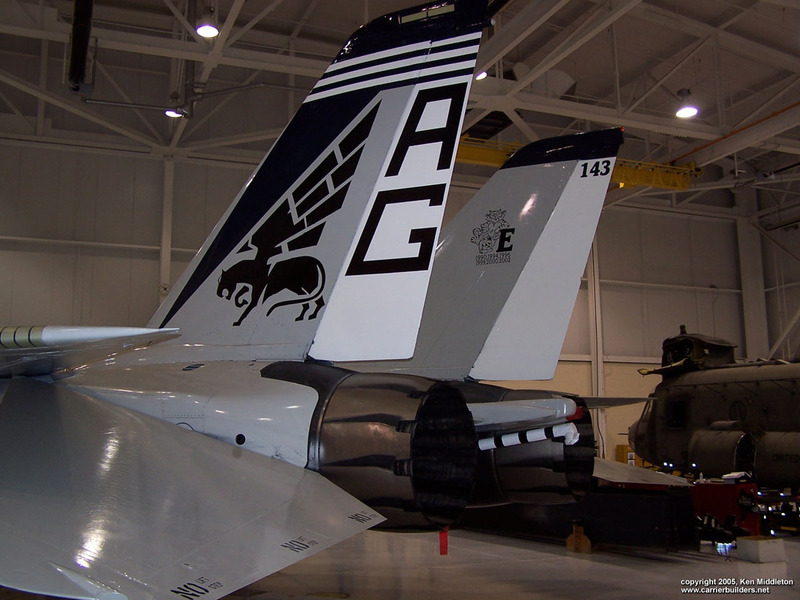 The plane was repainted by VF-143 for delivery to the museum. 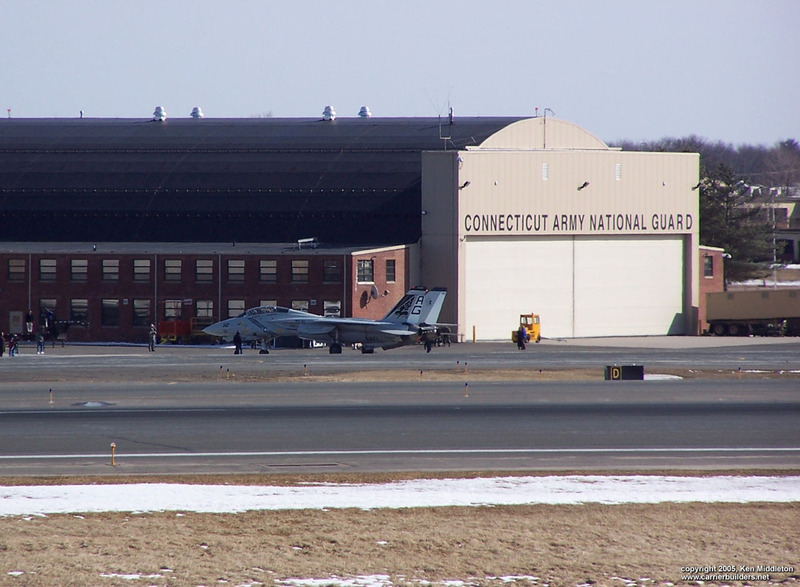 The plane was brought over to the Connecticut Army National Guard at Bradley to be demil'ed (engines and certain electronics removed). 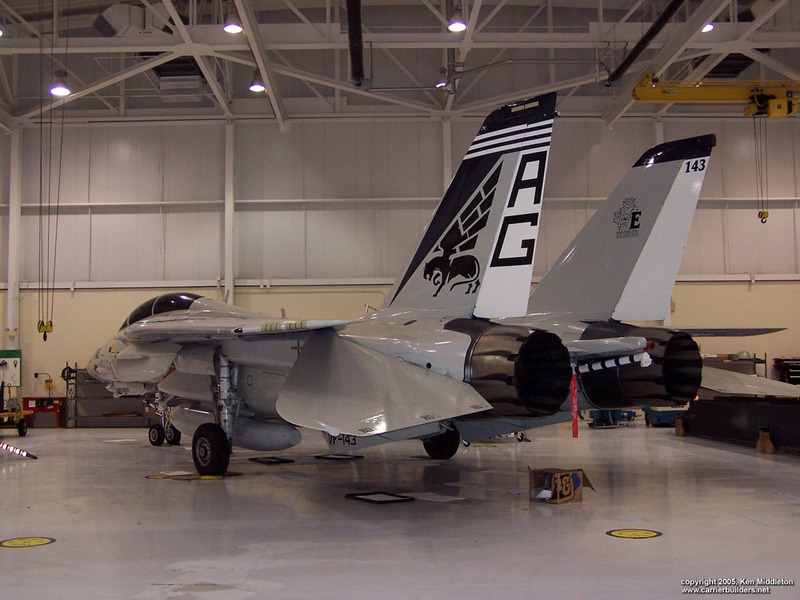 The hangar pictures were taken at the Army facility on 15 April 2005. 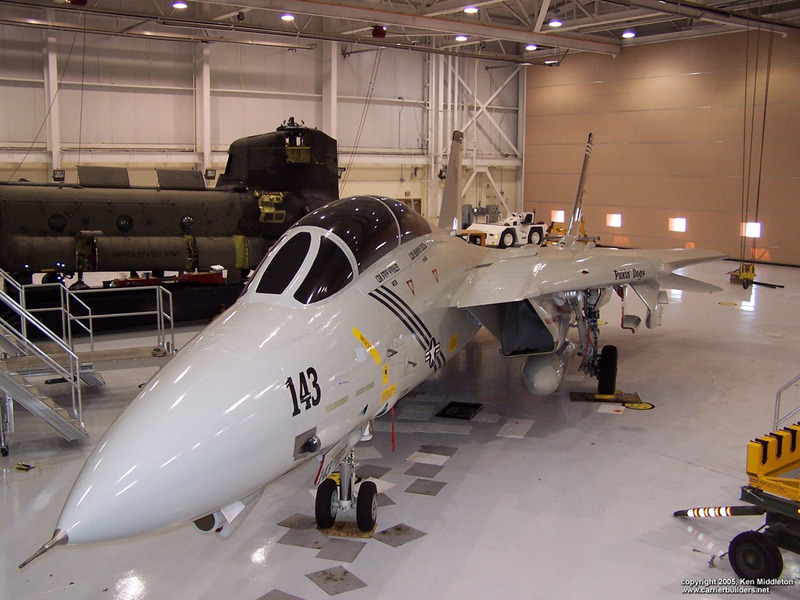 The museum is scheduled to the get the plane sometime in May."